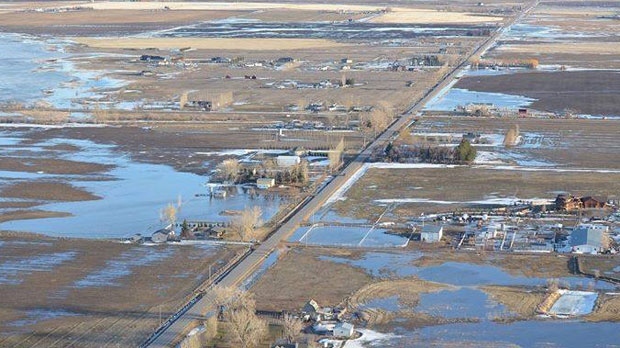 Two highways north of Taber that were closed due to overland flooding have been reopened, but authorities say they are continuing to monitor conditions and may close them again if necessary. 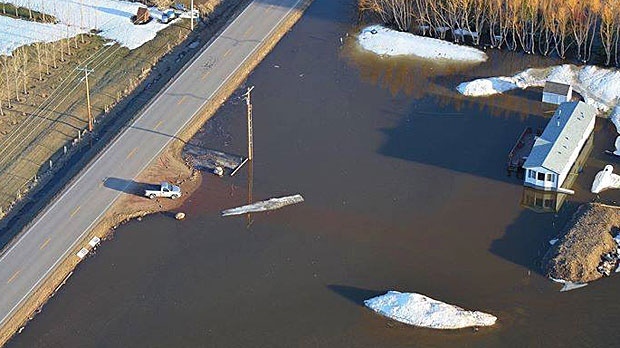 On Sunday morning, RCMP said that flood waters covered a portion of Highway 36, north of the Old Man River, prompting them to close down the road. Highway 864, the route that police were advising motorists to use as a detour was also closed. At about noon, both highways were reopened but said there is the potential for more flooding as the temperature continues to increase, adding more meltwater to the region. Motorists are still being asked to obey all signage and crews in the area. "We don't have any highways closed at this time. Highway 36 and 864 have been reopened. 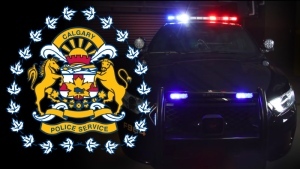 We do have a lot of grid roads closed right now," says Constable Corinne Oliver with the Taber RCMP. There are no mandatory evacuations in place right now, Oliver says, but there are some voluntary evacuations in effect. "If people want to leave, they can. There's a reception centre that's been set up here in Taber for individuals wanting to leave their homes and evacuate. It's at the Heritage Inn in Taber." Oliver says the RCMP wants people to respect barricades. 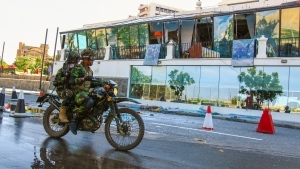 "We have barricades up for a reason; don't go around them, don't take your cars down them. Either the road's washed out or there are large puddles that you could lose a vehicle in." Drivers who ignore barricades could end up facing criminal charges, Oliver says. "Insurance won't cover their vehicles either if they go around barricades are they are damaged by going in puddles." Brian Schafer, with the M.D. of Taber, says that there is a lot of water throughout the area that is impacting roadways. 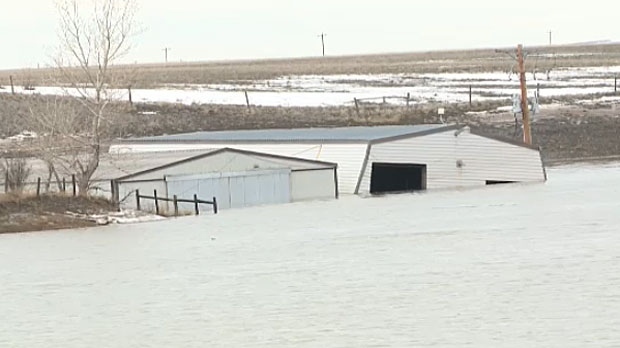 "Right now we're experiencing a lot of overland flooding in the area south of Taber. We also do have a lot in the Vauxhall area, to the west and east of the community." He says that crews are working around the clock to continue to pump out floodwater. A state of local emergency in the Town of Taber, originally called in late March, remains in effect. Full details can be found on the community’s official website. 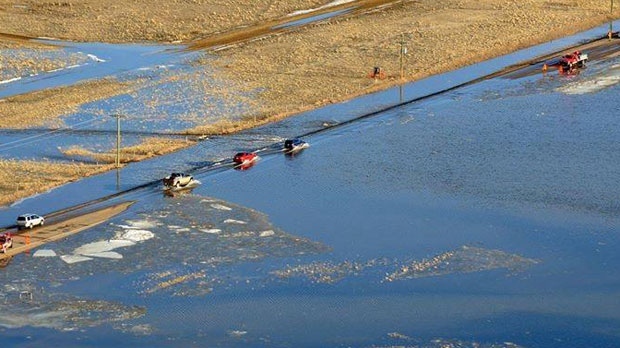 A number of properties have been flooded in the Taber area on Sunday.